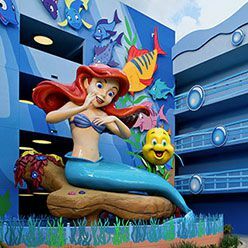 Planning a family vacation to Walt Disney World Resort? 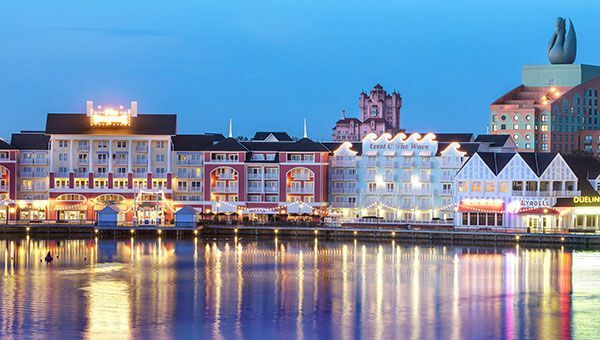 At about the size of San Francisco, Walt Disney World Resort is a vast fairy tale realm comprising four Theme Parks, two Water Parks, more than two dozen Disney Resort hotels, a vibrant shopping and dining district, golf courses, spas and much more. 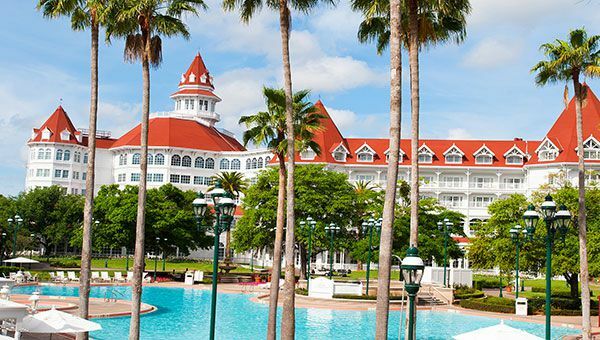 Staying at a Disney Resort hotel not only puts you in the middle of the fun, but it gives you many perks that’ll help you squeeze the most magic out of your Walt Disney World Resort vacation. Looking for a simple way to make your Walt Disney World Resort vacation even more magical? 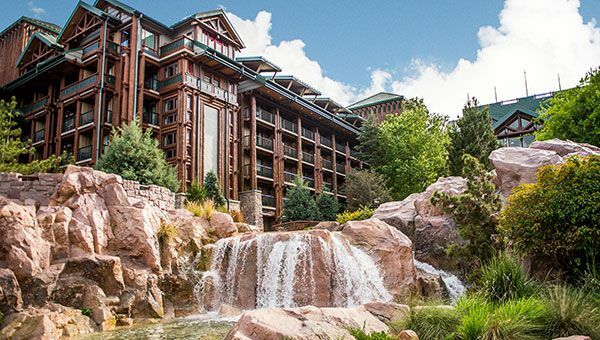 Staying at a Disney Resort unlocks a slew of convenient perks that give you more time in the Parks, makes getting around Walt Disney World Resort a breeze and helps you get the most magic out of your vacation. 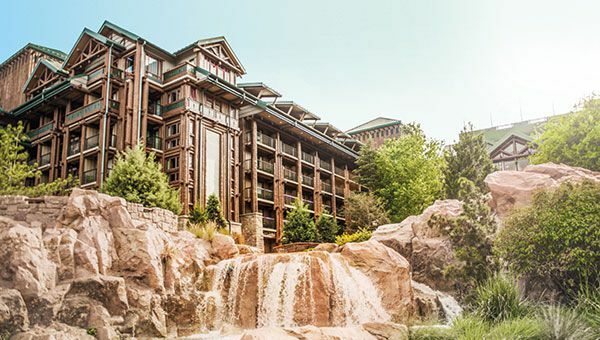 Guests staying at a select Walt Disney World Resort hotel with a valid Theme Park ticket, can visit a Theme Park each day to enjoy select attractions during Extra Magic Hours, a window before or after the Theme Park is open to the public. Get access to make Disney FastPass+ selections up to 60 days before you arrive! 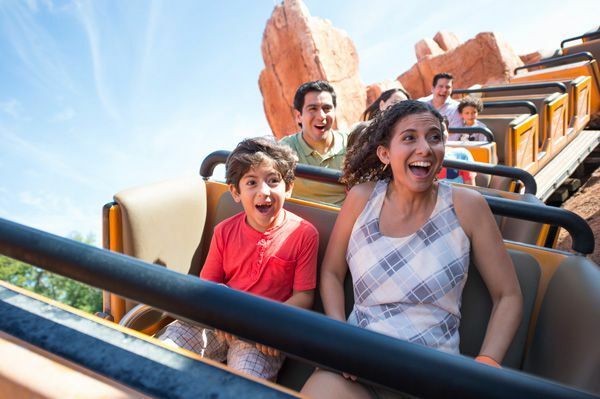 Use FastPass+ to designate times for up to three experiences per day in a single Park, including attractions, character experiences and shows. Your MagicBand allows you to effortlessly connect with your vacation information. It gives you access to your selected FastPass+ experiences, is your room key, holds your Theme Park tickets, and can be used for food and merchandise purchases. MagicBands are complimentary for Guests of a Disney Resort. 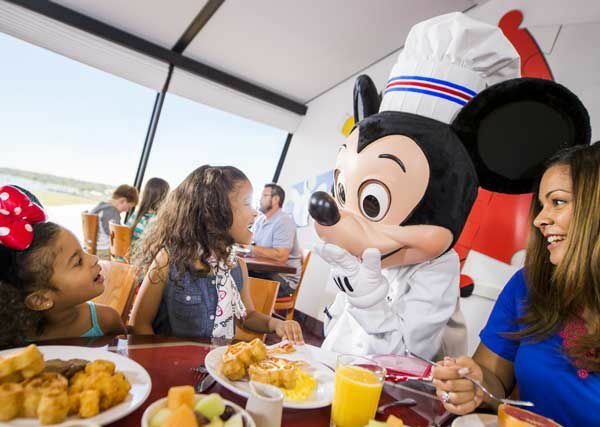 Guests of select Walt Disney World Resort hotels with Magic Your Way® vacation packages can choose one of the Disney dining plans, which offer the convenience and flexibility of prepaid dining at over 100 locations throughout Walt Disney World Resort. MagicBands are included for Guests staying at select Walt Disney World Resort hotels, and are available for purchase at select merchandise locations. A valid credit card must be presented at the Disney Resort hotel check-in for purchases made with MagicBands, which are charged to the Disney Resort hotel account. Use the My Disney Experience app to find out which Theme Park is having Extra Magic Hours on any given day. 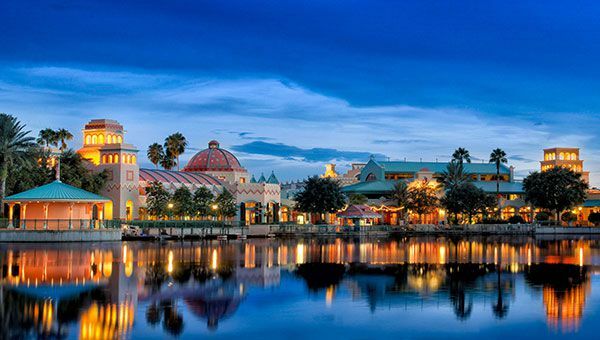 Staying at a Disney Resort hotel lets you take advantage of complimentary transportation throughout your stay, starting with Disney’s Magical Express® Service to and from Orlando International Airport. Every Disney Resort provides complimentary transportation to all four Theme Parks, both Water Parks and the Disney Springs® entertainment district. 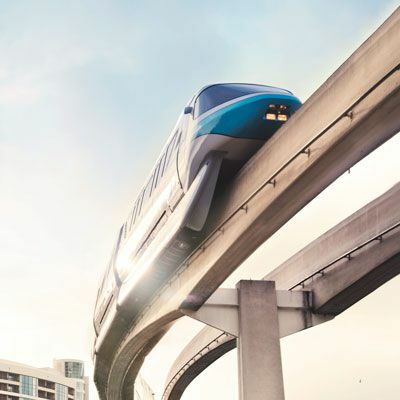 Depending on your Disney Resort hotel’s location, options might include the monorail, motor coach, water taxis or a combination. 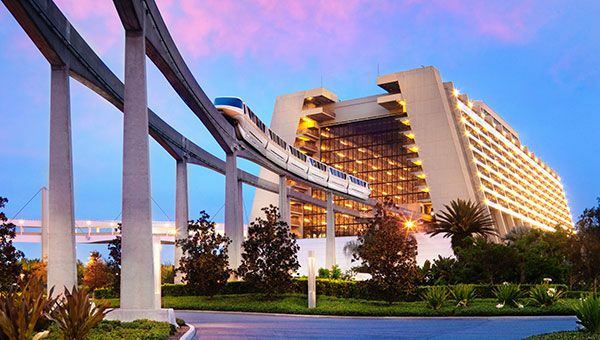 The World Famous Monorail serves Magic Kingdom® Park and Epcot®, making stops at Disney's Polynesian Village Resort, Disney's Contemporary Resort and Disney's Grand Floridian Resort & Spa. Water taxis and ferries sail to and from Magic Kingdom Park, Epcot® and Disney’s Hollywood Studios® as well as Disney Springs®. Most boats run on 15- to 30-minute intervals. On your arrival and departure days, you’ll receive complimentary transportation to and from Orlando International Airport via Disney's Magical Express Service. 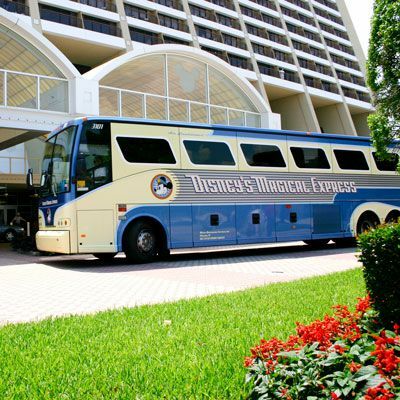 Throughout your stay, you can also travel via motor coach between your Disney Resort and the Theme Parks, Water Parks and Disney Springs®. Disney Magical Express: Luggage delivery service is available for flights arriving from 5:00 AM until 10:00 PM. 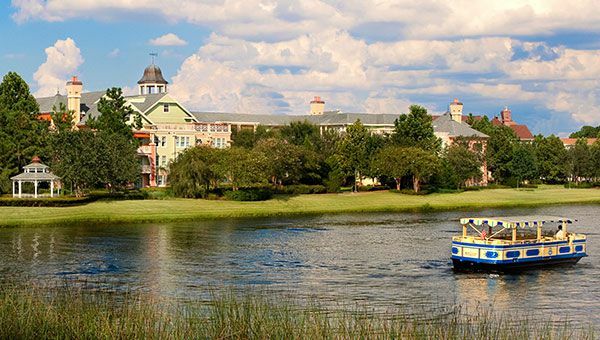 Disney’s Yacht Club Resort is conveniently located only a short walk from Epcot®. 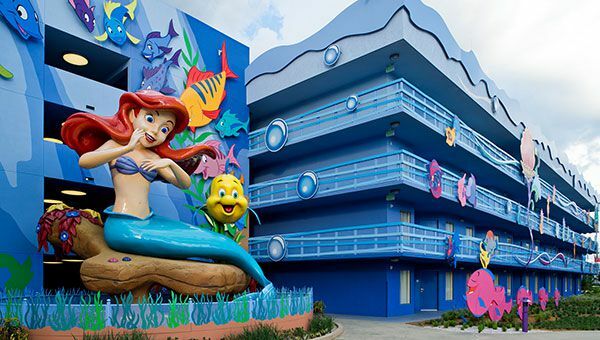 Thanks to the wide variety of Disney Resort hotels, families can choose a Disney Resort hotel that is perfect for their needs. On a budget? 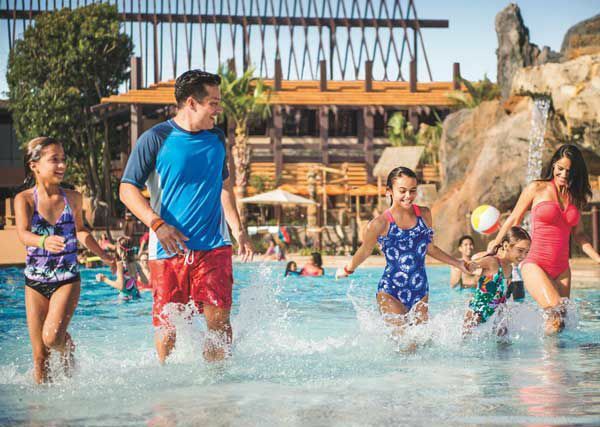 Disney Value Resorts offer themed pools, food courts, playgrounds and more. 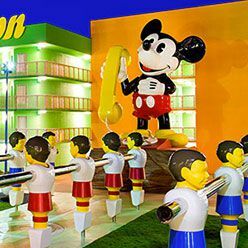 For a mini splurge with a big punch, consider upgrading to an eye-popping Disney Story Room at a Disney Moderate Resort. Traveling with a larger family or group? 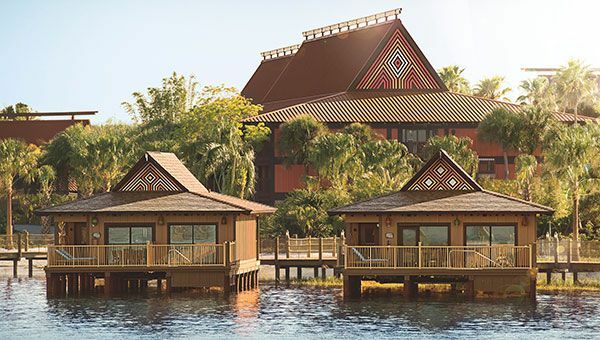 From family suites at Disney Value Resorts to multi-bedroom villas at Deluxe Resorts, there are numerous options for every party’s size and budget. 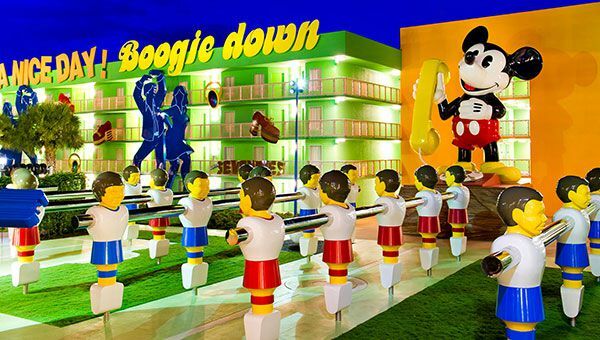 Enjoy the larger-than-life music-inspired icons, guitar-shaped Calypso Pool, piano-shaped Pool and more! 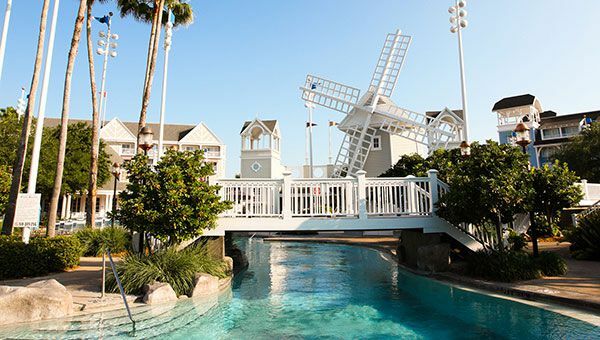 Star in your own adventure as you enjoy whimsical, film-themed décor, the Fantasia Pool, quieter Duck Pond Pool and more. Experience the enchantment of Walt Disney and Pixar movies, and cool off at your choice of three amazing pools and more! Celebrate your inner fan with sporty décor, beach-themed Surfboard Bay Pool, quieter baseball-themed Grand Slam Pool and more! 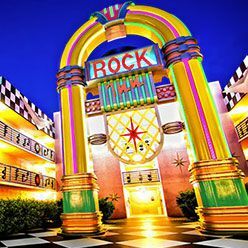 Revel in nostalgia with the retro fads of the ’50s through the ’90s, enjoy downtime at three fab pools and more! At this tropical paradise, you can explore multiple pools, enjoy a Movies Under the Stars or simply relax in a hammock. Relive the romance of Spanish Colonial Mexico with an incredible pool, Nuevo Latino fusion cuisine, Movies Under the Stars and more. 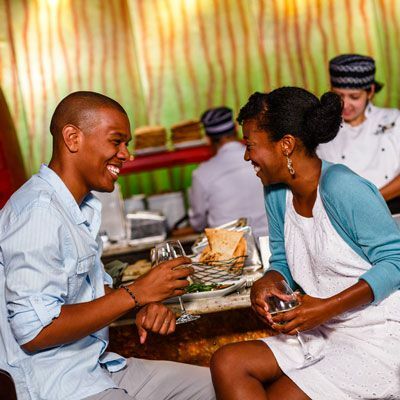 Revel in the romance of New Orleans’ historic French Quarter with a whimsical pool, Cajun dining, jazz music and more! Delight in a picturesque setting that evokes the romance of rural Louisiana with five pools, casual dining, Movies Under the Stars and more! 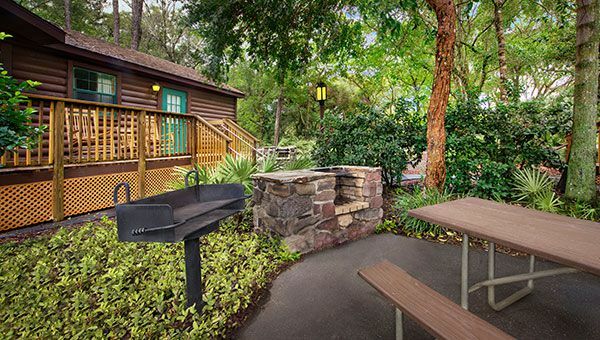 Embrace rustic fun with scenic woodland trails, a nightly campfire sing-a-long, exciting pool areas and more! 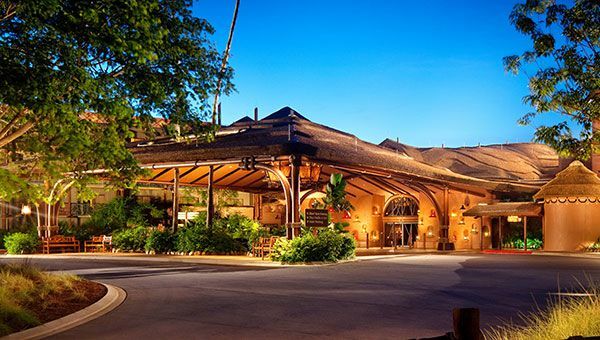 Step into the heart of Africa and enjoy views of four lush savannas, dazzling pool areas, unique animal programs, award-winning dining and more! 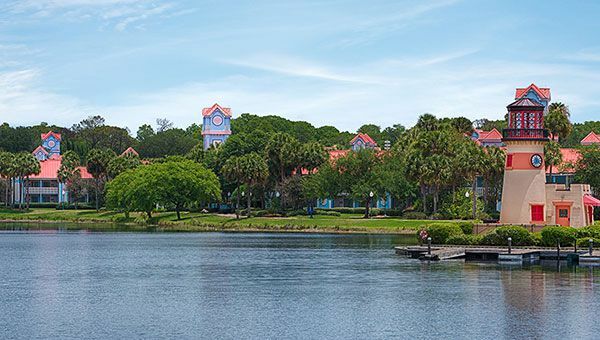 Discover the casual elegance of this New England- style Resort with its 3-acre water wonderland, excellent dining, and convenience to Epcot® and Disney’s Hollywood Studios®. 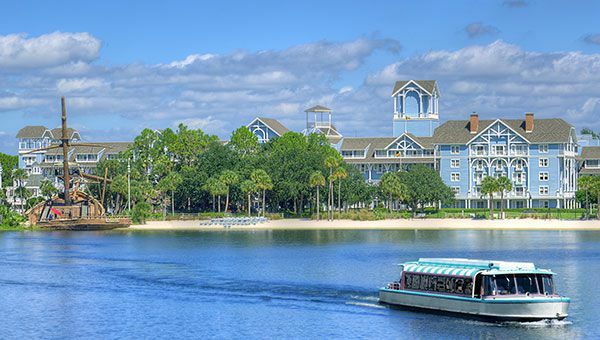 Discover an island oasis just a monorail ride away from Magic Kingdom® Park. Enjoy amazing pools, world-class dining and so much more! Experience the charm of turn-of-century Atlantic City and enjoy a whimsical pool, bustling boardwalk, proximity to Epcot® and more! 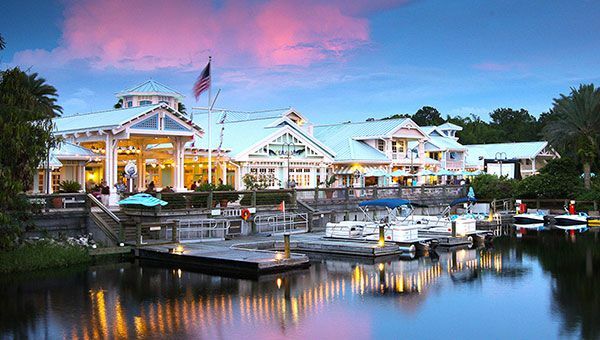 Delight in a grand New England-style yacht club with its 3-acre water wonderland, exquisite dining, movies on the beach, proximity to Epcot® and more! Soak up the rustic elegance of a turn-of-the-century national park lodge with its enchanting pool, Pacific Northwest cuisine, nature trails and more! Bask in ultra-mod style along the monorail with spectacular views, award-winning dining, dazzling pools and more. Appreciate the Victorian-era elegance of Old Florida with world-class dining, luxurious accommodations, full-service spa and zero-entry pool. 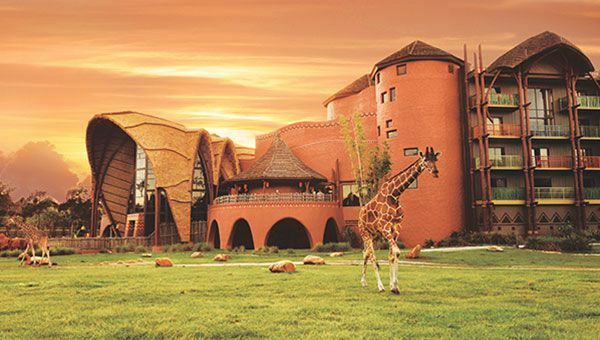 Experience an African safari adventure with views of lush savannas, a tropical-themed pool, award-winning dining and more! Embrace the spirit of the tropical South Pacific with spacious accommodations, amazing pool areas, great dining and more! 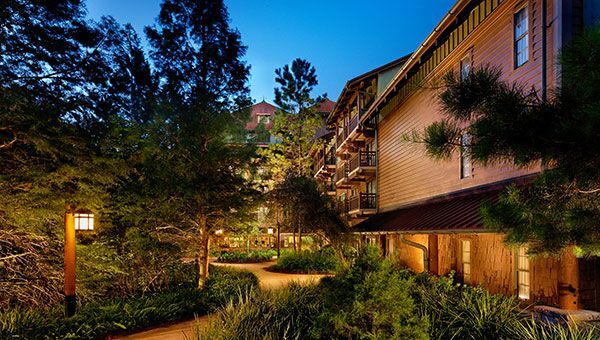 Step back into the 1860s American West with Pacific Northwest cuisine, nature trails, an enchanting pool and proximity to Magic Kingdom® Park. Soak up the rustic-elegant vibe with this nod to the pioneering heritage of the Pacific Northwest. Accommodations range from Deluxe Studios to waterfront Cabins with wraparound porches. 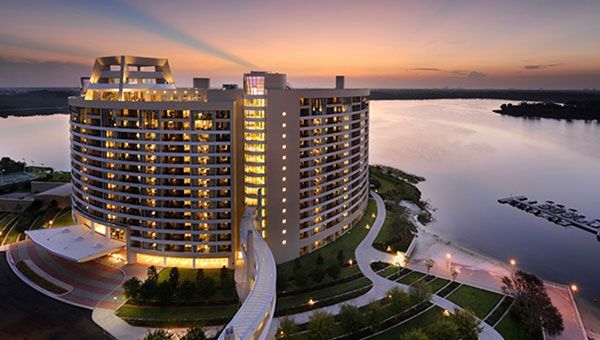 Warm luxury meets modern elegance at this lakeside Resort within walking distance to Magic Kingdom® Park. Experience dramatic views, enchanting pools and award-winning dining. 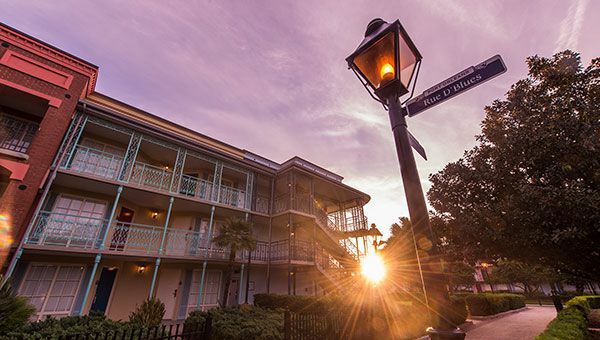 Revel in luxurious Victorian-style splendor with the comforts of home just one monorail stop from Magic Kingdom® Park. Embark on your own African safari adventure, with wildlife viewing, spacious accommodations, animal programs, award-winning dining and much more! 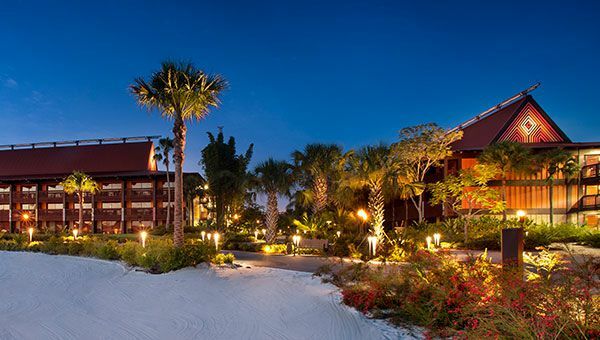 Among swaying palms and shimmering waterways, embrace the leisurely romance of the Florida Keys with sun-soaked pools, casual dining, Movies Under the Stars and more. Explore New York’s historic retreat with its rolling hills, placid lakes, five pools, boat service to Disney Springs® and more! 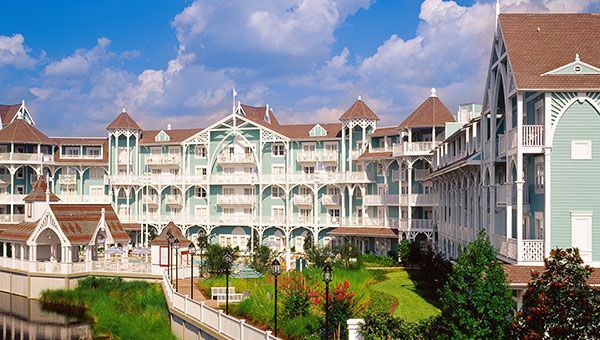 Relax at this charming New England-style beach hotel with its exquisite dining, 3-acre water wonderland, proximity to Epcot® and more! 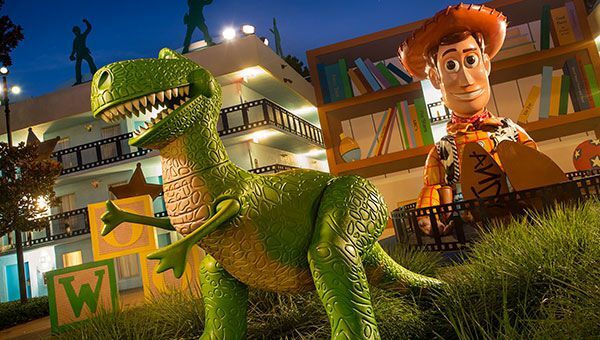 Make sure to check out Walt Disney World Resort special offers to explore savings on rooms and Magic Your Way® packages that can include dining plans, Tickets and more. 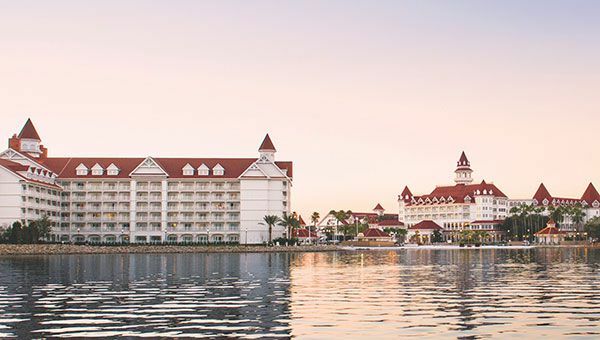 When your family needs some downtime between Theme Parks, your Disney Resort hotel makes sure the magic never ends. From tremendous, highly themed swimming pools to amazing dining experiences and much more, Resort time never means leaving the Disney magic. 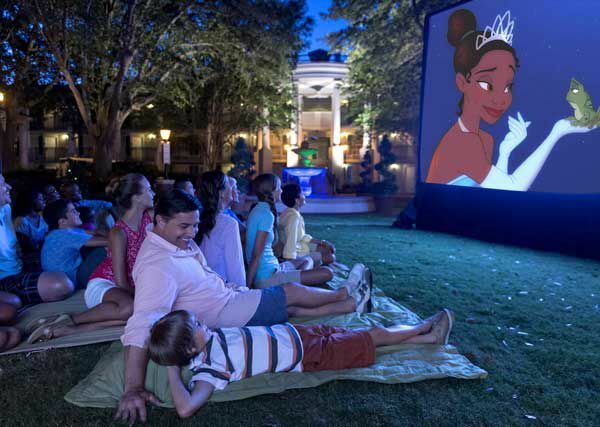 On select nights, Guests at select Disney Resort hotels can attend Movies Under the Stars, a program of outdoor screenings of popular Disney films. Disney Signature Dining restaurants feature chefs creating enduring classics and innovative taste sensations served with style and elegance. Check with the front desk at your Disney Resort hotel for the schedule of upcoming Movies Under the Stars. Once you’ve booked your Magic Your Way® vacation package, layer on extra magic with additional exciting experiences. 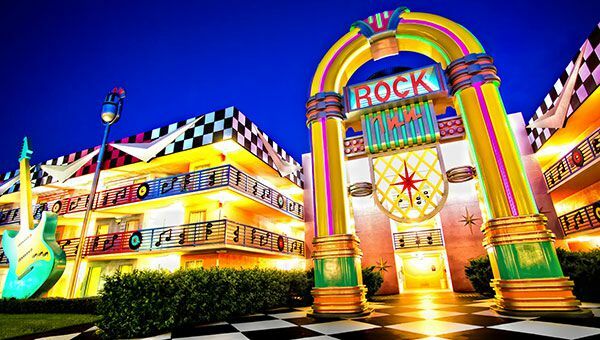 No matter how you like to move, Disney Resort hotels help you find your groove. There are three championship 18-hole courses, a family 9-hole course and two mini-golf courses. 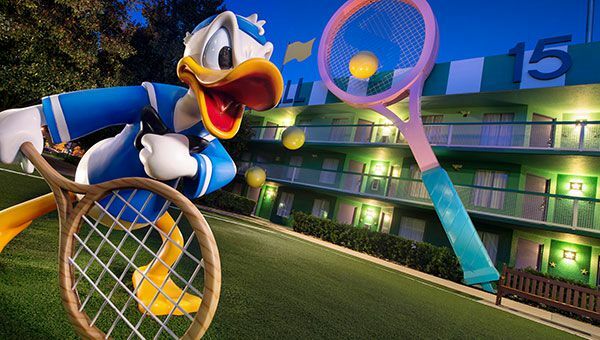 Seven Disney Resorts offer tennis courts, eight provide sand volleyball courts, six offer full basketball courts and most feature running trails. 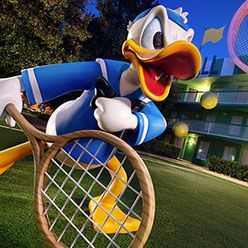 Every Disney Resort hotel offers its own array of recreational possibilities. 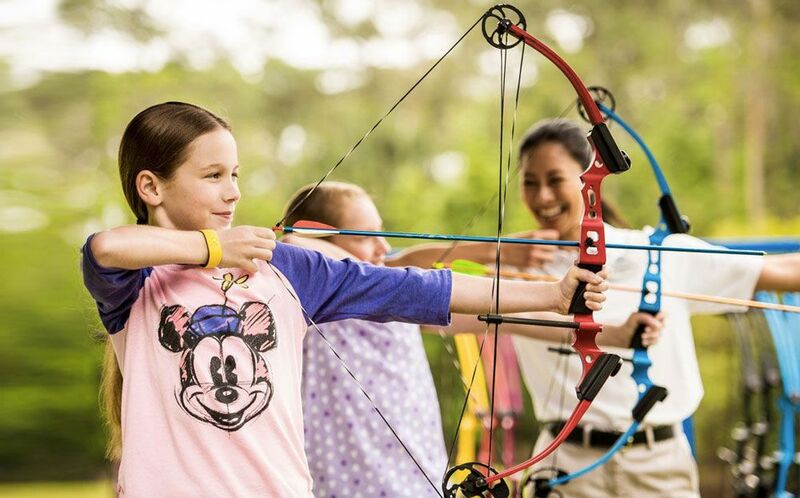 Outdoor fun abounds at Disney's Fort Wilderness Resort & Campground, where you can take an archery lesson, go canoeing, join a horseback trail ride or try dockside fishing. 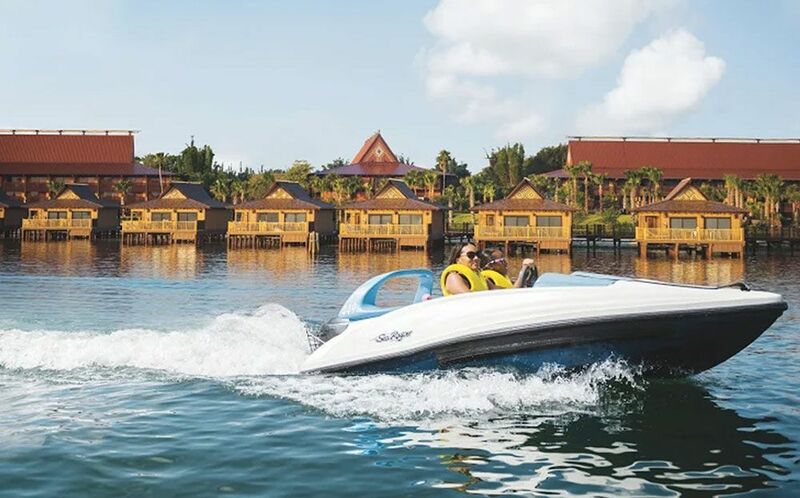 Go waterskiing, wakeboarding, tubing, or take a high-flying parasailing adventure at Sammy Duvall’s Watersports Centre at Disney’s Contemporary Resort. 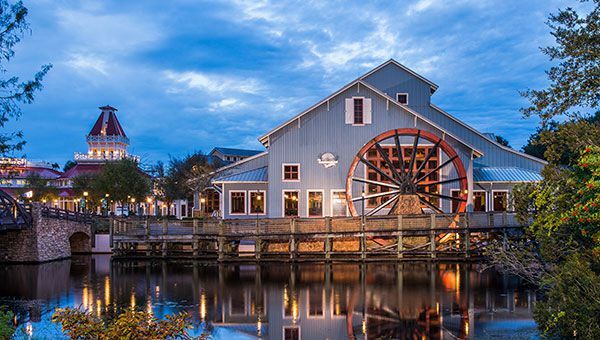 At Disney’s Port Orleans Resort—Riverside, the charming pathways along the banks of the Sassagoula River are popular for jogging and leisurely rides by bike, Surrey bike and horse-drawn carriage. 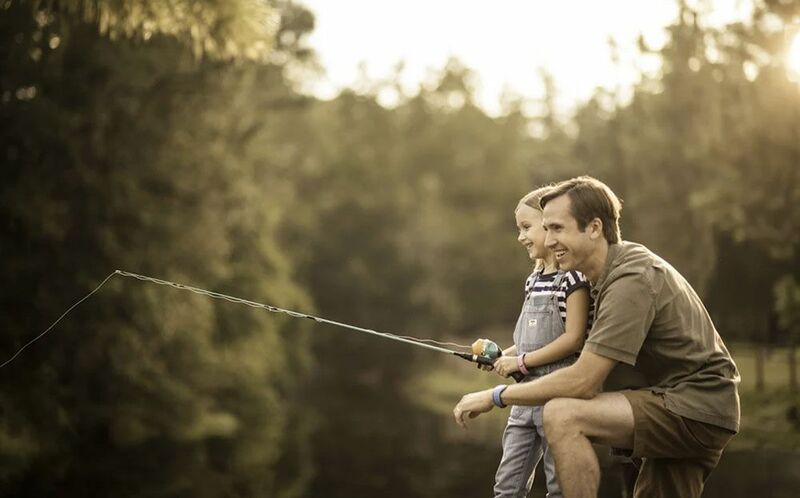 Catch-and-release fishing is available, too. Are your kids too young for horseback riding? Disney’s Fort Wilderness Resort & Campground also offers pony rides and horse-drawn carriages. Whether you’re celebrating a special occasion or simply treating your family to a hard-earned splurge, the Enchanting Extras Collection lets you go beyond traditional Theme Park attractions. Customize your vacation with unique experiences ranging from guided tours to unforgettable nature experiences and much more. Choose from over a dozen Unique Access Tours that highlight how Disney magic comes to life, including the Ultimate Day of Thrills VIP tour, an all-day adventure delivering an action-packed experience through multiple Theme Parks. 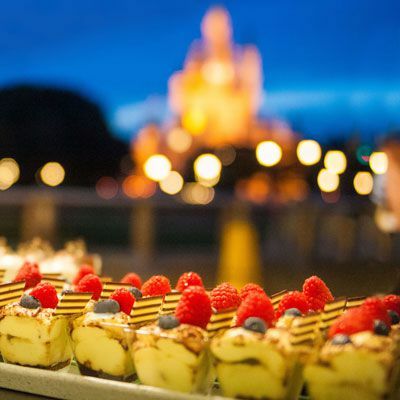 Choose among several dessert parties, which combine scrumptious sweets and prime viewings of unforgettable entertainment offerings. 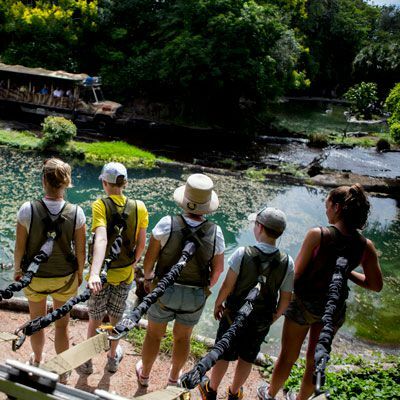 Get closer to exotic wildlife with nature experiences such as Wild Africa Trek® at Disney’s Animal Kingdom Theme Park, where expert guides lead small-group safaris that let you savor Africa-inspired food while observing and learning about the animals of the savanna. 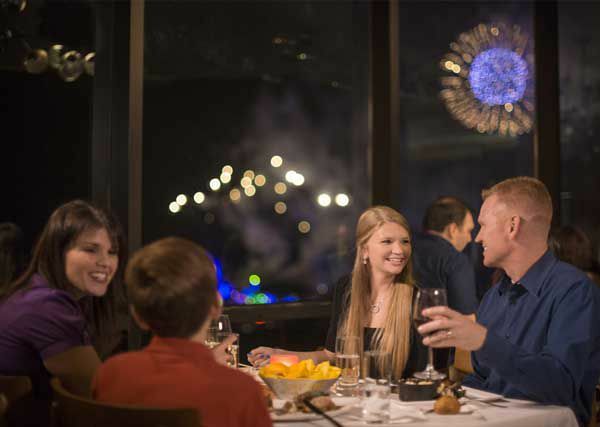 Engage in culinary experiences that can make you feel like a gourmet chef, learn what it’s like to be a Walt Disney Imagineer or enjoy a private dinner. Discover South Africa’s varietals with Jiko Wine Tasting, where you’ll experience illustrious wines with complementary cheese pairings. Wild Africa Trek is not included with standard admission to Disney’s Animal Kingdom Theme Park. Available to Guests age 8 and older. Other restrictions apply. Throughout the year, Walt Disney World Resort offers a host of seasonal and special limited-time events. Be on the lookout for events that coincide with your travel dates. Once you book your Magic Your Way® vacation package, let the planning begin. This handy checklist lets you know when it’s time to start locking in various elements of your trip. Book select special ticketed events such as fireworks dessert parties. 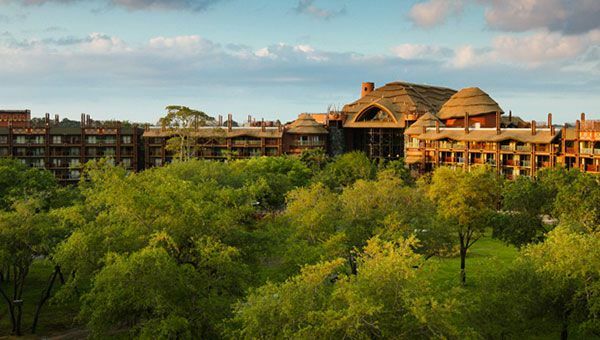 Start your check-in online at select Walt Disney World Resort hotels. Your family’s MagicBands will be shipped to your home, if you live in the U.S.
Get access to reserve some FastPass+ attractions and experiences at Theme Parks. Valid Theme Park admission is required to take advantage of this benefit. Pre-order meals at any of two dozen Quick-Service dining locations via the My Disney Experience app. Use online check-in to bypass the front desk. On arrival day, you’ll receive a text alert when your room is ready. 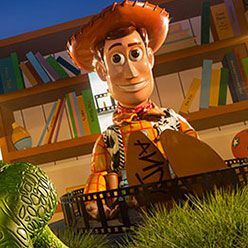 Your MagicBand is your room key!